Travelmar - View timetables, Compare and book ferry tickets at directferries.ie. 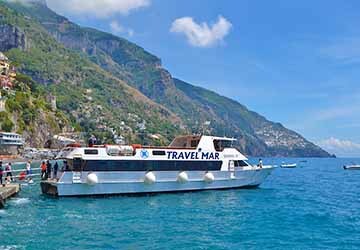 Travelmar has served the beautiful Amalfi Coast in southwest Italy since 1998, offering regular ferry routes from the city of Salerno to the idyllic seaside towns of Amalfi and Positano. The company was started to provide locals with a more relaxing alternative to the long, winding coastal roads. 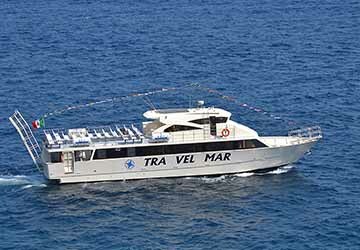 With Travelmar’s selection of fast and comfortable vessels, tourists and residents alike can now fully appreciate the stunning coastline and hop between the boutique shops, cliffside houses and wisteria-draped roads of Amalfi and Positano with ease. 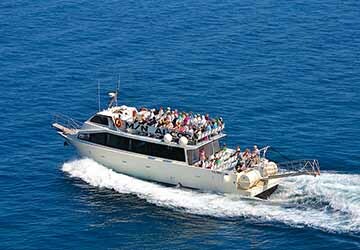 Each of the five ferries in the Travelmar fleet can reach up to eighteen knots, with the largest, called Uragano 90, able to carry almost four hundred passengers across the Tyrrhenian Sea. 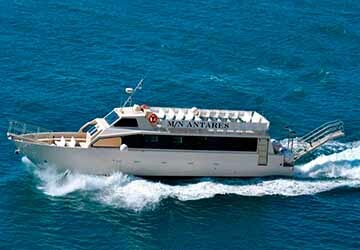 Although slightly smaller, the other four ferries; Polaris, Maria Madre, Alcor and Antares, are sleekly designed with spacious sun decks and comfortable seating areas. 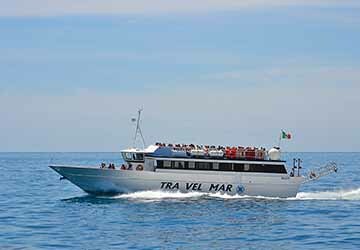 Priding themselves on their professional and high-quality service, Travelmar is a reliable and convenient choice when it comes to exploring the famed Amalfi Coast. Directferries.ie provides an impartial ferry comparison service allowing you to view numerous ferry company timetables and fares in one quick and easy search. Compare Travelmar timetables and prices now with all alternative ferry operators before booking your ferry ticket.